On Sunday morning, I went along with my husband and two daughters, to Hoxton Arches Gallery, London to see my work in ‘Seams’. 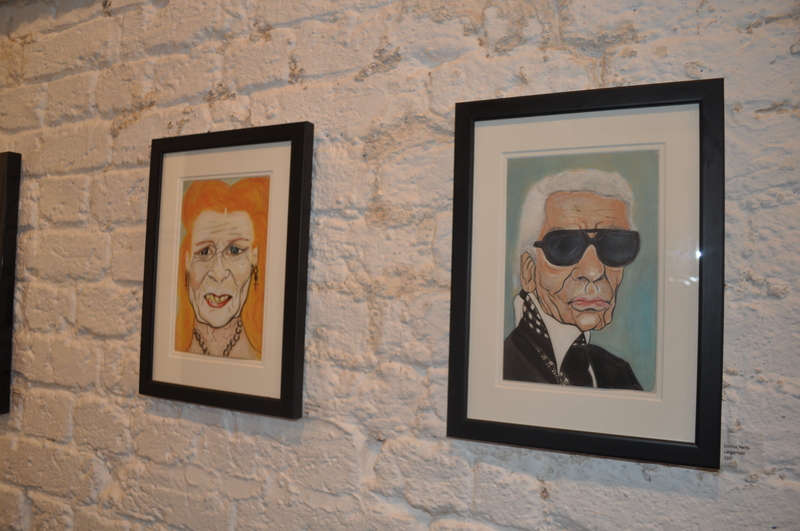 I was sorry to miss the private view party on Saturday evening, which sounded like a blast! 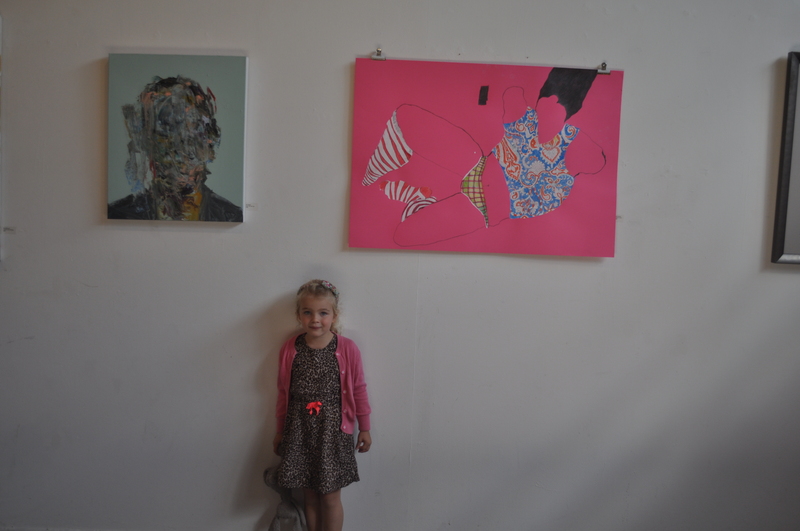 The work selected is curated beautifully by the Sweet’ Art collective, and the themes explored are fascinating. Many works commented on the female form and fashion or identity in some way. As was a little girl, I’m glad that my 5 year old Scarlett asked questions, and gave her take on what she saw. Mediums used in the works are varied. A real highlight for me was a stitched portrait of Anna Piaggi by Jess de Wahls. It is stunningly rich in colour and texture with a fantastic sculptural element. Jess reuses old garments, cushion filler and plastic bags to create this effect. This upcycling element obviously appeals to me! 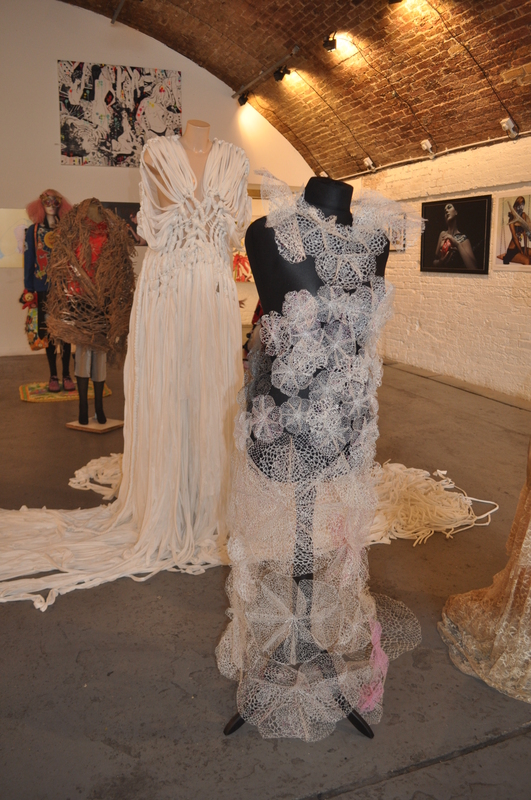 I was really pleased to see my Eternal Lace dress exhibited with such an array of special pieces. Other favourites include the paintings of Cherie Grist, and the wire female forms of Angela Morris Winmill. 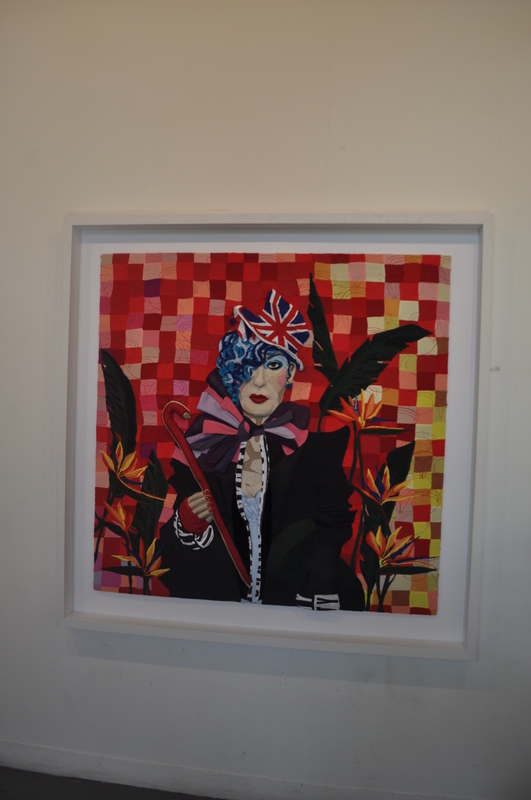 Seams runs until Weds 17th September at Hoxton Arches Gallery, 420, Cremer Street, E2 8HD . Go and visit if you can!